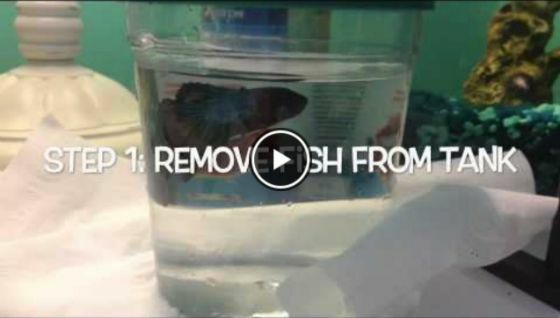 11 Steps Simplified: How To Clean a Betta Fish Tank - Super Easy! GET the Best Supplies For Cleaning Your Betta Tank now. Use our FREE comparison tool to SAVE. All the top products & equipment to help clean your Betta tank or bowl are listed. GET the Best Supplies For Cleaning Your Betta Tank now! We can all agree Betta fish are often sold as easy-to-care-for, low-maintenance pets. And while they are generally hardy fish, they still produce waste like any other fish and their tanks will eventually need to be cleaned. In this article, we show you how to clean a Betta fish tank in 11 simple steps. When you’re done, you’ll have crystal clear water and a very happy fish. At the end of the post, we’ve included a video showing each of the 11 steps. How To Clean A Betta Fish Tank: Final Thoughts. 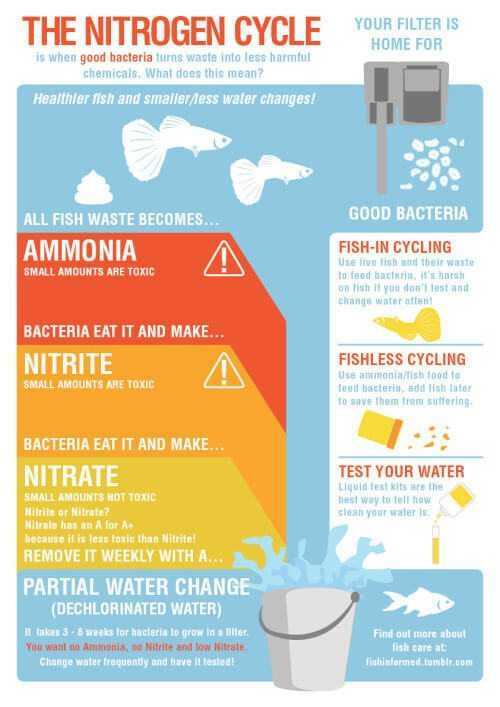 The waste that your Betta generates decomposes and turns into ammonia, which is toxic to your fish. Cleaning your Betta’s tank regularly will help eliminate harmful waste, and also clear ammonia and other toxins out of the water. And the cleaning process is actually quite easy. It can even be fun to keep your Betta’s home looking neat and tidy! How often you need to clean your Betta’s tank depends on the tank size. Smaller tanks accumulate toxic levels of waste more quickly and need much more frequent cleanings and water changes. You may have to change out 30-50% of the water every few days and clean the tank once or twice a week. Larger tanks with filters need less frequent water changes and even fewer cleanings. It’s a good idea to change out 10-15% of the water every week or two, and your tank can go several weeks without a full cleaning. When you clean your Betta tank, you’ll want to perform some sort of water change. Whether you’re changing 10%, 20% or 50%, you should have your water already prepared before you start the cleaning process. Like all fish, Bettas can’t survive in unconditioned tap water. If you’re using tap water, put the amount that you need in some sort of container and use a water conditioner to neutralize chlorine and other chemicals harmful to your fish. You can also leave tap water out for 24-48 hours and the chemicals will evaporate naturally. No matter what kind of water you’re using, you’ll want to bring it as close to your tank temperature as possible, either by letting it sit out for a few hours so it can get to room temperature or by using a heater. Before cleaning, you’ll want to remove your Betta fish from the tank and put him somewhere calm and safe. Fill a bowl or cup with tank water, and use a small fishnet or sterile container to gently scoop your fish out of his tank. Put him in the tank water you’ve set aside and he’ll have a place to swim around while you clean his living space. Make sure you place a cover on top of this container. Betta fish are great jumpers. Next, start taking all the decorations, accessories, plants and hiding places out of the tank. Taking these out will make it easier to clean the rest of the tank, and many of these items will need to be cleaned themselves. Set aside everything in a large bowl to keep them together and to make cleaning easier. Using a cup or bowl, scoop out a portion of the tank water and set it aside. If you’re doing a 50% water change, set aside half the water in the tank. If you’re doing a 10% water change, set aside 90% of the water in the tank. You’ll be adding this back in when you’re done the cleaning. It can be really bad for your Betta to perform a complete water change, so you should always keep some original tank water to add back. Your tank water has built up beneficial bacteria over time and it’s the environment that your Betta is used to. A sudden, drastic change to that environment could send him into shock. Once you’ve scooped out the water you’re going to save, the rest of it can be dumped. Slowly pour the water out, making sure that your gravel doesn’t fall out. You can also pour the water over a sieve or strainer to catch anything that falls out while you’re dumping it. Finally, pour your gravel into the bowl holding your tank decorations. Run warm water over the decorations and accessories from your tank. Use a soft scrubber or brush to scrub off any slime and dirt stuck to the surface. Do not use soap on the decorations or anything else in your tank. Even if you rinse it off well, soap residue can still remain and harm your fish. Once you have finished rinsing your decorations, set them aside on a clean paper towel. A lot of the waste and debris in your Betta tank accumulate in the gravel, so this can be the dirtiest part of your tank. Run warm water over the gravel while gradually rubbing your hands through it to loosen slime and dirt. Once you have given the gravel a good rinse, drain the dirty water from the bowl. You can also place the gravel in a sieve or strainer so that water drains while you rinse it. Repeat as many times as necessary until your gravel is completely clean. The next thing to clean is the tank itself. Put the tank in your sink and run warm water into it. Scrub the bottom and sides of the tank with a soft brush to loosen any accumulated dirt, algae and slime. Make sure you give the corners a good scrub. Again, do not use any soap on your Betta tank. Once you’ve scrubbed everything, dump out the water and give the tank a final rinse. Now that you’ve cleaned your tank, gravel, and decorations, you’re ready to put everything back together. First, pour the gravel back into the bottom of the tank and arrange it so that it’s evenly spread out. Next put in your decorations and accessories and arrange them how you want. For some really cool setup ideas. Finally, reattach any heaters, filters, thermometers and anything else that you removed before cleaning. Slowly pour the old tank water you set aside back into the tank so you don’t disturb your gravel and decorations. Then, fill up the rest of the tank with the fresh water that you prepared earlier. Give everything a stir to mix the water together, reposition any decorations that may have fallen over, and test your temperature and pH to make sure it’s ready for your fish. You’ll want the pH and temperature to be close to what your fish is used to. Now that you’ve got everything clean and put back where they belong, it’s time to reintroduce your Betta fish to his home. To do this, take the container that he’s in and place it in the tank. Slowly tilt the container until your Betta is able to swim out on his own. Be careful when you’re doing this so he doesn’t damage his fins. Your Betta should be happily swimming around his newly cleaned tank. Cleaning your Betta tank regularly is vital to keeping your fish happy and healthy. 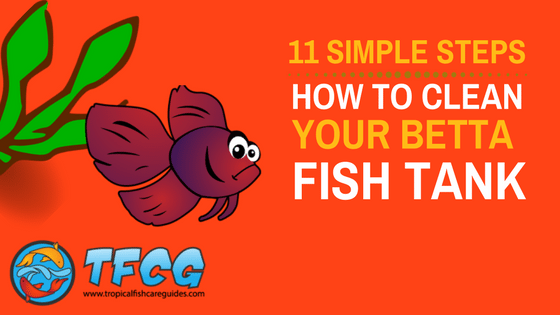 The 11 simple steps above go over the basics of how to clean a Betta fish tank. As you can see, it’s a simple process that doesn’t need to be intimidating or a lot of work and it is extremely important to regularly clean any type of pet habitat. This process works great for smaller tanks and tanks without a lot of complex aquascaping. If you have a larger or more complicated tank, it may not be feasible to completely empty everything out. But you also may not need to. Installing a good filter and performing regular 10-15% water changes with a siphon will go a long way towards keeping your tank clean. Siphoning water out from the bottom will clean out much of the collected debris in the gravel, and your filter will capture anything floating around in the water. No matter what type of tank you have, regular water changes and cleaning will keep your Betta happy and your tank looking great. Click below to see our list.